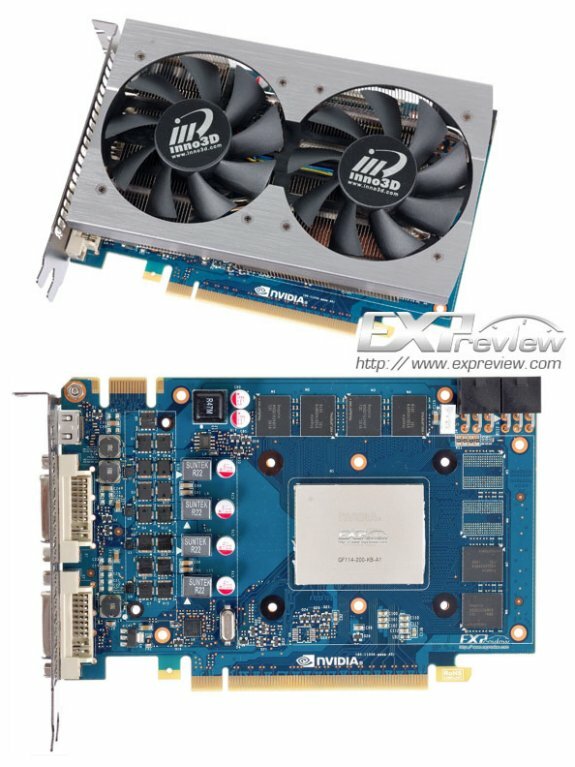 Asian tech site Expreview published photos of the Inno3D GeForce GTX 560 SE, this is a new chip from NVIDIA designed to compete with AMD's Radeon HD 7700 series until the Kepler series arrives. The card offers 288 CUDA cores, a 192-bit memory bus, 776MHz core, 1553MHz shaders, and 1GB GDDR5 clocked at 3812MHz. It uses a short PCB and features a custom dual-slot cooler, with copper base, four 8mm heatpipes and two aluminium fin arrays that are cooled by two 80mm fans.